Have you ever wondered if there were other people out there that like to look for herps? 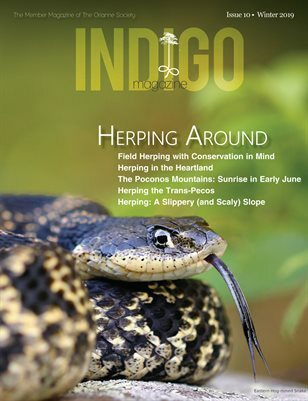 Have you ever wanted to try herping but didn’t know where to start? You are not alone! It was with this in mind that we created the Places You’ve Never Herped (PYNH) event series, a friendly field herping competition where you can learn the ropes, meet like-minded individuals and do your part for conservation while collecting valuable data. These citizen science events are more than just a friendly field herping expedition—they are invaluable to our organization by maximizing our data collection efforts for various research projects. It helps that they are a very good time! Our pilot PYNH event was held in southeastern Georgia in 2012. We had 47 herping competitors ages 12 to 60 who showed up for this one-day event which encompassed numerous Wildlife Management Areas (WMAs) within the Altamaha River Corridor in South Georgia where we managed to find over 37 species of reptiles and amphibians. PYNH 2 and 3 took place in the beautiful north Georgia mountains and in the Bladen Lakes region of North Carolina where the event was upped to two days. These events were a bit different in that they amounted to much more than a competition. One of the fastest-declining groups of animals, reptiles and amphibians cannot be conserved without conserving their habitat. Being such, in 2012 The Orianne Society partnered with JJ Apodaca of Florida State University (now with Warren Wilson College) to identify crucial habitat for reptiles and amphibians called Priority Amphibian and Reptile Conservation Areas (PARCAs)—think Important Bird Areas—in the states of Alabama, Georgia, Florida, North Carolina and South Carolina. Once the PARCAs were outlined, we needed to survey these areas on the ground to determine if they did indeed support high densities of herpetological diversity or rare species. Cue PYNH! We put out a call for help from our friends to survey the PARCAs in Tallulah Gorge, Georgia, and Bladen Lakes, North Carolina, in the form of PYNH 2 and 3 in June and August 2013. Over 40 participants showed up to the Tallulah Gorge area ready to get dirty and hunt for some herps, and 36 showed up in Bladen Lakes with their headlamps blazing for two evenings of night herping. These groups documented 85 species, contributing valuable on-the-ground data for the PARCA project. In April 2014 we held PYNH 4 in the wild and amphibian-reptile rich Red Hills region of northern Florida at the Dixie Plantation, a wonderful conservation tract owned by the Tall Timbers Research Station. The Dixie Plantation (9,111 acres) is a mosaic of Longleaf Pine sandhills and clayhills and wetlands. Wetland habitats on site include cypress swamps, riparian floodplain swamps and depression marshes—the ephemeral waters of these depressions provide habitat for many pond-breeding salamanders. PYNH competitors brought their sunscreen and their competitive spirit and found over 42 species for Tall Timber Research Station to enter into their monitoring database. PYNH 5 was held in October 2014 in the Waynesville Watershed of North Carolina, an area with over 8,000 acres of undisturbed land with plentiful wildlife. This watershed is owned by the city of Waynesville and is gated off from public access. Because of this, the area had had no significant herpetological surveys done, and our inventory was of great interest to the city and to the state Wildlife Resource Commission. It was a pretty cold and rainy two days, but still successful! Fall is a great time to be in the southern Blue Ridge—not only for the beautiful fall colors, but also for the amphibians and reptiles that can be found there. This area has among the highest diversity of salamanders in the world, and fall is one of the best times of year to find them. Over 36 individuals participated and contributed to finding and documenting 24 species, over half of them salamanders. During our PYNH events, you get a chance to meet people that have the same interests as you. You contribute valuable data to conservation projects. And like many of our attendees, you learn more and more about something you are passionate about while making lasting friendships and connections. We announce these events to our members (PYNH are members-only events) via email, and we also advertise them on our social media sites. PYNH 6 is scheduled for late spring/early summer of 2015. Watch for the announcement, get your game face on and join us—you never know what will you find!